TONIGHT! 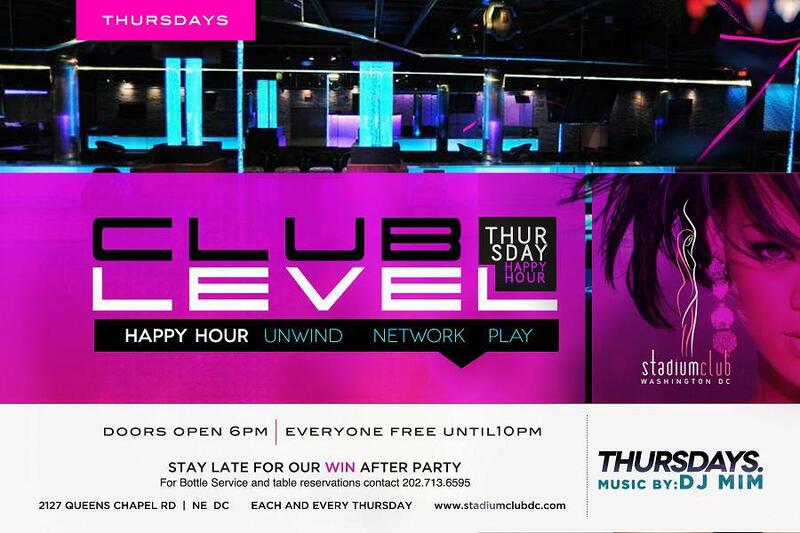 Rock with @DJMIMDC for #ClubLevel Happy Hour and #WINDC at @TheStadiumClub! DJ MIM rocks “Club Level” – the hottest Thursday happy hour in the city! DJ MIM keeps the night going with the #WINDC after party. She features only music from the DMV area for a complete hour, 10p-11p! Be sure to check her out each and every Thursday! 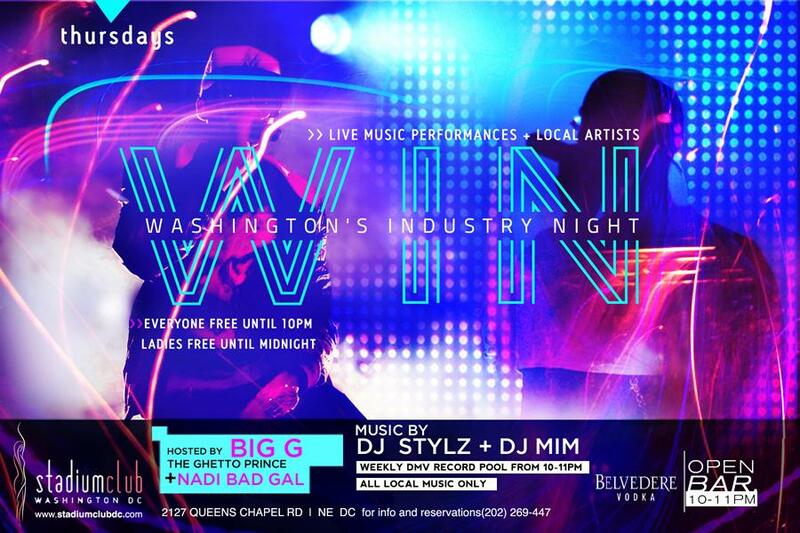 This entry was posted in DJ MIM, Events and tagged Club Level Happy Hour, dj mim, DJMIMDC, Stadium Club, Washington Industry Night, WINDC by MIM Entertainment. Bookmark the permalink.